This can’t be the first time I’ve heard that Jesus was declared “beloved” by God before he was sent out. But the sentiment of being beloved stood out to me. “Jesus is sent out first with a declaration of the Father’s love.” What a difference it would make if we all lived from a place of deep belovedness. The sense of belovedness sent me off to the event framed in a different light. I am God’s beloved regardless of how “successful” the breakfast would be. I am beloved. Belovedness didn’t only reframe me on a rich and full day where I can measure what I’ve done—sometimes I confuse “belovedness” with “able to see the good I have accomplished. Belovedness also speaks into those private moments when the enemy of our soul wants us to think, “You have already blown it before you even started.” (And how is getting an extra hour of sleep, “blowing it?” This lesson of belovedness may seem simple and normally I think of myself as a very beloved person. Yet in two days of this small practice, much has been uncovered! Have you tried for your first thought of the day to be, “I am beloved”? What did you notice? If you haven’t tried it, do and then share with us your experience. Today I’m thinking of the paradox of the expansive particular in the Kingdom of God. 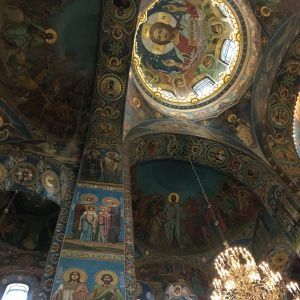 Standing in beautiful churches in Estonia, Russia, Helsinki, and Finland, my spirit stirred with how broad and deep and old and new God’s work in our world is. Standing in a fairly common church today (in a building I don’t believe will stand the test of time), I watched my nieces Katy, Anna, and Chloe be baptized. Each publicly declaring her belief in Jesus and desire to follow Him. Three little lambs who are precious in his sight. Tears, of course. Thoughts of their grandparents and my grandparents and our particular family. Love of Jesus for caring about individuals and His bride throughout history and geography. Amen. See you in the comments as we discuss waking up, baptism, and belovedness. – I, like the author, love big ideas. I love dreaming and planning and growing. But the Annie Dillard quote “How we spend our days is, of course, how we spend our lives” stops me in my tracks. Going off of that, the quote Amy mentions in the end of her post is unbelievably, ordinarily profound. And I love that paradox. I’m struck with the infinite opportunities I have to glorify Jesus if my eyes can but see the holy in the mundane. Maria, I love big ideas too!!!!!! I’ve been waiting for this day for, like, 18 months! I first read this book last year because I had chosen the word “ordinary” as my word of the year. Most of my time is spent on ordinary daily life, not exciting “Kingdom Work.” But can’t ordinary tasks be Kingdom Work, if I do them to the glory of God? I’m excited to read it again! I loved the point she made about being beloved before working. I would like to try bringing that to mind as I wake up, but it’s hard for me to think of things in the morning. Which brings me to your question, Amy: I definitely do not have an on switch. It takes me a couple of hours to become a functional human, and I wouldn’t mind spending the first hour laying awake in bed, if only I didn’t have responsibilities. Mornings are hard. The dull bits cut out?! Oh yes, just think how exciting my life could look if all the dull bit were cut out. But then, it wouldn’t really be my life :). Oh Rachel, I cannot imagine laying in bed for an hour. I am super proud of myself if I lay there for . . . oh say . . . five minutes :). I do try sometimes, I do. But it is so boring to lay in bed if you have an on/off switch. I can see with a “dimmer switch” that comes on slowly, laying in bed would be a lovely way to wake up. I, like Tish, do indeed wake up slowly. Days that I do not have to set an alarm are my favorite. Days that I do have to set an alarm (most of them), I intentionally set it early enough that I can snooze at least once without dire consequences. Sunday mornings are the hardest. I think it is because subconsciously I know that I will not get in trouble if I’m late to church, certainly not in this African context, at least. I could blame my children for our lateness to the service, but 9 times out of 10, it’s me. I love the line where she says, “God, in delight and wisdom, has made, named, and blessed this average day.” I love it because she includes both delight & wisdom. God delights in this particular day. And He wisely created and blessed it. 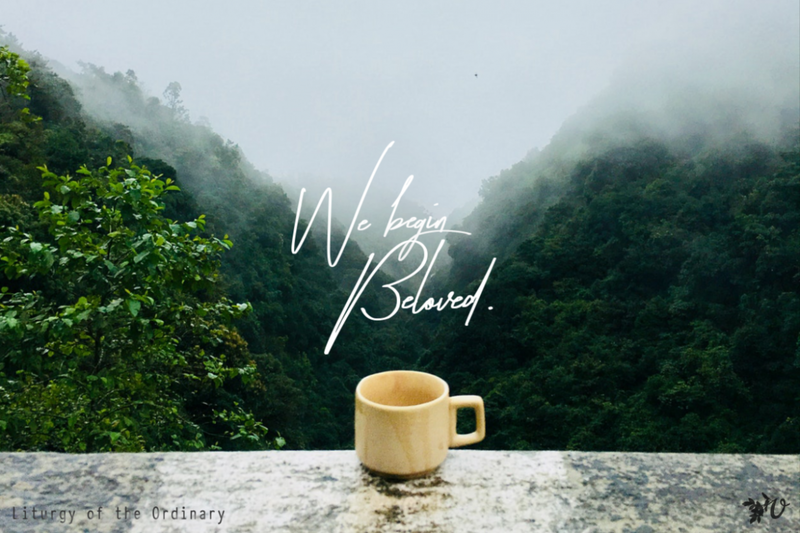 It might be completely ordinary to me (or full of horror or eve celebrations), but it is specific and intentional to my God. I want to remember that when I wake up…maybe before the snooze goes off. Additionally, I love the quote by Hitchcock concerning movies being “life with the dull bits cut out,” and the comparison to how we view our own lives. 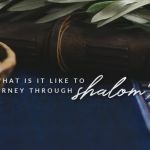 And even more, Tish’s challenge to “accept the circumstances we constantly find ourselves in as the place of God’s kingdom and blessing.” We know it in our heads, but do we live like we are aware that God is intimately involved in the details of our lives? I mean, isn’t that why we pray about things like our internet constantly going in and out, the weather for a scheduled outdoor activity for just a few people, and the child that is having nightmares? They are all “small” and “routine” aspects of our daily lives that God is able to use to reflect is glory. As Amy and others have said, that last line “how I spend this ordinary day in Christ is how I will spend my Christian life” caught my attention. I see it as both beautiful and convicting at the same time. Are my ordinary days reflecting how I want to spend my life? I love that you have teased out delight and wisdom, Lisa. Our ordinary days are not simply to be endured as we move towards “the good stuff” — they are looked at by God with wisdom and delight. I love this!!!! Exactly! Too often we have the mindset of enduring the days. 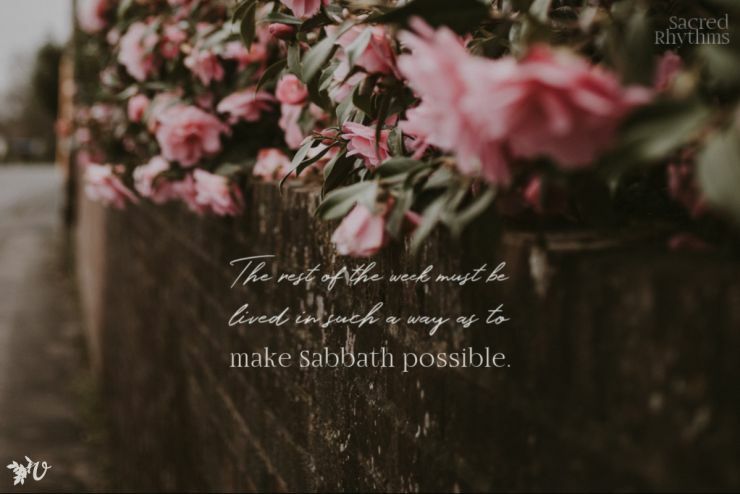 “I’ve gotta get through this…” I want to put on God’s perspective, and look for what He is delighting in and how he wisely orchestrated the day. Maybe the thought that stuck with me the most (from chapter 1) comes fairly early on:”Whether we’re children or heads of state, we sit in our pyjamas for a moment, yawning, with messy hair and bad breath, unproductive, groping toward the day. Soon we’ll get buttoned up into our identities”. And it’s into this rather unimpressive state that the word “beloved” is spoken. I’m really enjoying this book and glad we’re not rushing through it! I noticed that reference, too. It got me thinking about Jesus waking up. Did he need a morning cup of Joe, or jump out of bed? Were there mornings like Amy’s recently when He “overslept” because he simply needed the physical rest? If so with him, then of course with me! Don’t you wish sometimes, there were more of those details in the Bible? 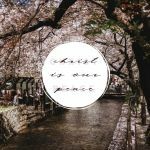 🙂 How did being “fully human” play out in Jesus’ life? We get glimpses, for sure, but it’s so easy to miss those. Fun to think about . . . and to take a moment and see the humanity of Christ. And he probably did oversleep . . . at least a few times, right?! I wake up foggy. I don’t often set an alarm but I feel tired when I wake up. I wish I didn’t. I do my devotions and prayer from my bed. It seems otherwise I will get interrupted. Then I get out of bed. I haven’t tried to wake up and think I am beloved but it seems like a life-changing thing to do. Once I wrote “Love is patient” on my mirror. That small reminder helped me for weeks! I think my favorite line from chapter one is “there is no task too small or too routine to reflect God’s glory and worth. That is motivating for me. I don’t need to decide the value of the “everyday” that I do. It is decided. It can be holy. I am His beloved… we cannot escape this truth and so let it resonate on our hearts every morning before we start “accomplishing things for the Lord” thinking of myself as beloved… keeps my mind firmly planted in His grace. Tish says, “grace is a mystery and the joyful scandal of the universe….” how easily I forget when I hit the ground running with screaming kids and diarrhea diapers. We need that daily beginning reminder— to keep our souls diligently. I love also how she talks about her friend who was so daring and bold to move to Calcutta, and the friend often ends up doing the same ordinary stuff there— like he did back home. I laughed because I felt the same way as her friend, and then I moved here, and I was a bit disappointed, because I came to find I was living the same ordinary life, just in some different circumstances then before. But she reminds us— that God created the ordinary everyday, and called it blessed- and purposeful… so Lord, please give me the vision to embrace this truth. So powerful. Lindsey, let’s spur each other on in naming our belovedness at the start of each day! Really listening to it is better (for me). Me being beloved isn’t based on my performance. (Oh thank you, Jesus!!) Sorry for posting twice, I just thought of this today. I hope it comforts someone else. Spring! Post as often as you want :)!!!! And I love that there is a veggie tale song! I’m listening to it now (had never heard it), thank you for sharing!!! I love the words to this song! Somehow haven’t seen this Veggie Tales. Thanks for sharing! I definitely have an off/on switch, although the “morning on” works much better than the “evening off” position! Totally agree with you, Amy, about not wanting to stay in bed after the switch is on. Time to get on with the adventure of today! 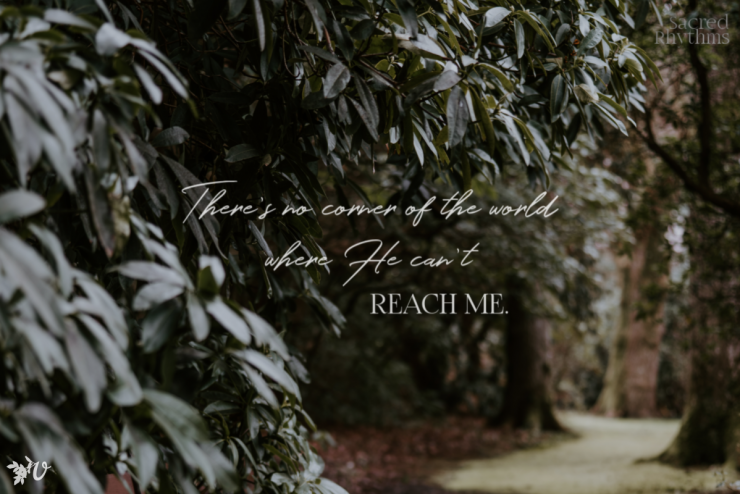 What an insightful observation Tish made about how Jesus hadn’t done anything impressive or noteworthy on earth that would prompt God the Father to call Him Beloved. I certainly need regular reminders that my position as a beloved daughter of God, accepted in THE Beloved, is completely unrelated to what I do or how well I do it. How is it that the subtle, misguided desire to prove we are love-worthy servants of Jesus so easily supplants our hearts’ true desire to serve the Worthy One out of love? “We are marked from our first waking moment by an identity that is deeper and more real than any other identity we will don that day.” Wow. Good stuff. The foreword was excellent too; especially the part about the “stubborn Christian heresy” of the division between the secular and sacred. Just this week, in talking with a family member about life and goals and challenges, I was shocked to hear how much he admired my life and work, “because, you know, an M – that’s another level” (of spirituality and following Christ). I had to be careful not to blow off his kind and encouraging words, and, in a loving, non-argumentative way, use the most convincing words possible to try to explain that different levels don’t exist, and that the way this family member is serving Jesus is just as valid and spiritual. Is that a mindset that anyone else out there has run into, whether in your host or home culture? 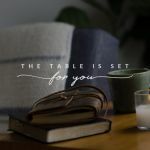 How do you explain to well-meaning people who want to put crosscultural workers on a pedestal that if they are serving Jesus out of love, their place and lifestyle and work is just as spiritual and valuable to the kingdom as yours? Paulette! So lovely to read your thoughts and know that I”m not the only one with an on/off switch!!! You’re not alone with running into family or friends or strangers that can put Ms on a pedestal and think that what we do is “better” or “closer to God” than what “regular” believers do. I’m glad you noticed it and even pushed back on it a bit — if for no other reason than to not let that thinking take root in us (so easy for it to happen!). I look forward to reading other chapters together! I have been thinking on this chapter here and there through the week, and have enjoyed reading everyone’s comments. I didn’t think I struggled to believe God’s love for me until I tried this exercise of waking up and reminding myself of my beloved-ness. Honestly, it’s been a hard exercise! I think it’s because I’m in a difficult season of culture stress and I’m just tired. I’m longing for our first home ministry assignment, which is still 10 months away. I’m not in a good place emotionally. I’m worn out from parenting in a cross cultural context. I’m worn out from language learning, and disappointed that I still do not having a good grasp of the language even after four years of studying. The culture really is pushing my buttons lately. It is really difficult for me to just dwell in God’s love for me because I feel like there ARE things that are required of me. I know this is a season where I really need to do that BECAUSE I don’t feel it is true. I feel the demands of life are stronger than God’s call to just be his beloved child. 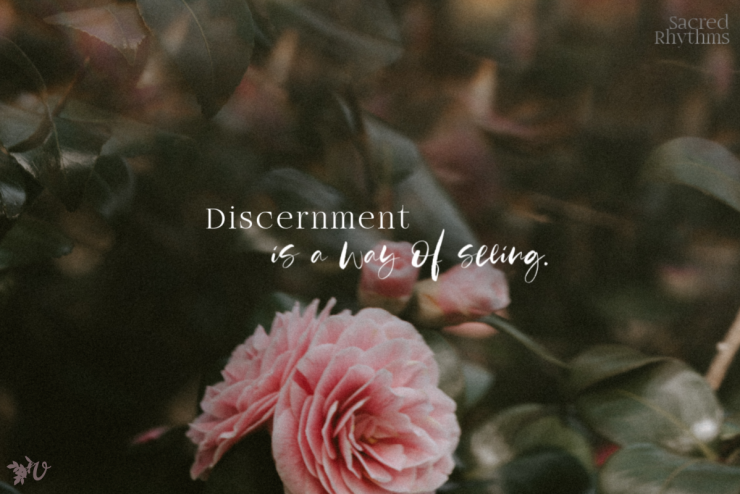 Tish quotes Dallas Willard, “First we must accept the circumstances we constantly find ourselves in as the place of God’s Kingdom and blessing. God has yet to bless anyone except where they actually are.” And she goes on to say that Jesus knew I would be in this day, with my particular sins and struggles. So, I am asking, really God, you can bless me here? You can bring your Kingdom to this place? To me? To my family even if we can’t meet the expectations of this culture? Can I just say no to everything and just sit with the Lord long enough that that knowledge of belovedness will carry me throughout this day? How long will that take? Because it feels like it will take longer than I have available to me. I’m hopeless in the mornings – two alarms each with snooze buttons hit several times and coffee all feature. And to think that even then, God calls us ‘beloved’. SO excited to be joining this book club as this book is so good already! Coming out of a crazy hectic time into a season of forced rest on the field due to the country’s recent happenings, a health issue, and just Father’s leading. It seems like a mini-Sabbatical even while on the field. My husband (of 8 months now!) is amazing for helping me rest. I think one can get so much more out of a book like this by reading it together, and hearing what Father is teaching other sisters in this journey! Starting to catch up on the discussion now.